All of our current competition terms and conditions. To enter, the entrant must complete all 3 questions found in the WEEKLY QUIZ section of the LES MILLS weekly emails. The entrant may only submit one entry per WEEKLY QUIZ. Each WEEKLY QUIZ completed amounts to one entry into the competition. There will be the initial quiz, and 5 mini-quizzes by email run during the Promotion. There are 3 x Amazon Gift Cards (worth USD$100 each) to be won for each week of the Promotion, with all prizes being drawn at the end of the Promotion. Shortly after the Entry Closing Time, the prize winner will be selected at random by Les Mills (in its sole discretion) from all eligible entries and notified via the email address provided. The promoter of the Promotion is Les Mills Media Limited (Les Mills), 22 Centre Street, Auckland, New Zealand. otherwise meet all requirements and conditions specified in these terms and conditions. No purchase is necessary to enter or win. The odds of winning will depend on the total number of entries received. The prizes for the Promotion are as described above. The prize winner will be determined in the manner described above. Les Mills’ decision will be final and binding. Les Mills will not enter into any discussions with any person in relation to the award of the prize. The prize winner will be notified shortly after the end of the Entry Closing Time as described below. If a prize winner cannot be contacted after reasonable attempts by Les Mills, the prize will be forfeited and a new prize winner will be selected at random from all eligible entries. The prize is not transferable or redeemable for cash. If for whatever reason a prize winner that has claimed the prize does not or cannot accept the prize, then that prize will be forfeited. Cash will not be awarded in lieu. 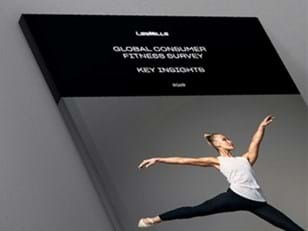 The prize winner will provide Les Mills with an email address for delivery of the prize. Les Mills will arrange for delivery of the prize to the prize winner and will be responsible for the shipping costs (with shipping to be determined solely in Les Mills discretion). Les Mills will endeavor to dispatch all prizes to the winner(s) before the end of June 2018. The prize winners are solely responsible for all insurance, applicable taxes and customs duties and any other expense not specified in the prize descriptions. By accepting the prize, the prize winner consents to Les Mills using their details and photograph for promotional and media publicity purposes. 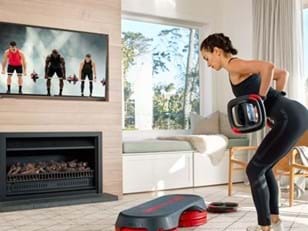 Les Mills will not be liable for any loss or damage whatsoever suffered (including, but not limited to, direct, indirect or consequential loss) or personal injury suffered or sustained in connection with either participation in this Promotion or with the prize offered. Each Entrant will indemnify Les Mills and its affiliates for any loss or damage suffered or incurred by them as a result of any claim arising from their entry in the Promotion. Les Mills will not be liable or responsible for any entries that are not completed or are otherwise late, lost or misdirected whether due to third party service providers or otherwise. Les Mills reserves the right to vary, suspend or terminate the Promotion or to disqualify any Entrant or entry at any time. Les Mills reserves the right to vary these terms and conditions from time to time. Previous versions of terms and conditions will be available on request.